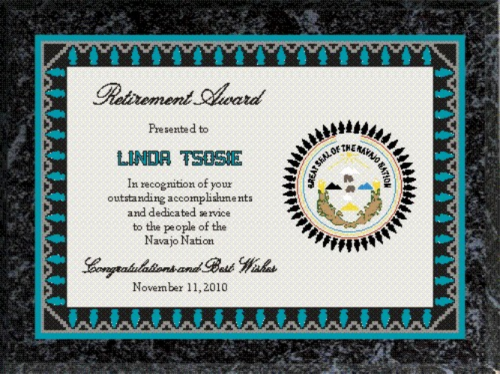 "Arrowhead" Native Heritage Plaque with choice of simulated black or white marble board . Includes your custom logo. 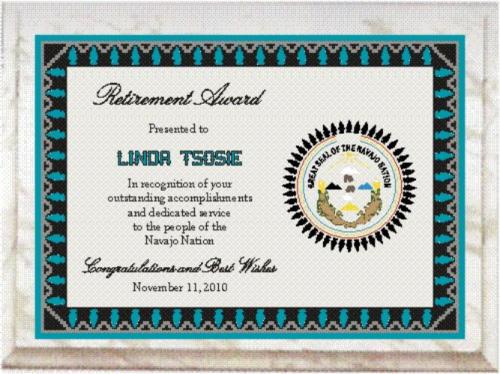 Arrowhead Native Heritage Plaque 5" x 7"
Arrowhead Native Heritage Plaque 6" x 8"
Arrowhead Native Heritage Plaque 7" x 9"
Arrowhead Native Heritage Plaque 8" x 10"
Arrowhead Native Heritage Plaque 9" x 12"
Arrowhead Native Heritage Plaque 10 1/2" x 13"